It's hard to believe that it has been one year since I opened a box of books with my name on it. I called it "Adam S. McHugh" Christmas. I waited at the door for 2 days until the UPS guy finally showed up. It has to rank as the 3rd best moment of my life, after my wedding and ordination. One year. My baby is all grown up! I feel profoundly grateful. Introverts in the Church is approaching its 6th printing, the reviews have been highly positive, and the attention is has received has exceeded my expectations. 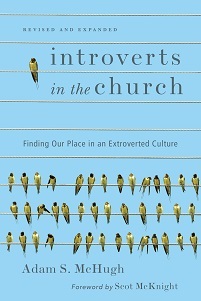 I knew there were a lot more introverts in churches than people thought, but meeting some of you, and getting emails from you, has been a wonderful experience. You have confirmed all the things that I said in my book about the gifts that we bring to our communities. Please continue to email me and stop me at conferences to say hello. Thank you for buying the book and recommending it to others. I hope that this will be my first of many books and I look forward to continuing the conversation. 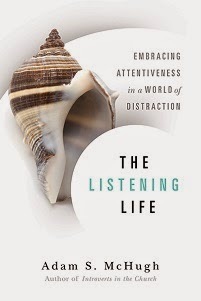 I would love it if you would write comments on this post about how the book has helped you - personally, in your relationships with others, and in your churches. To review the last year, I thought I would re-post some of my favorite links to interviews, article, and book reviews. The Christian Century: Can Introverts Lead? Breaking Down Stereotypes, by Adam McHugh. The Washington Post: Introverts in Evangelical America, by Adam McHugh.